- A faster way to fire BRONZclay. 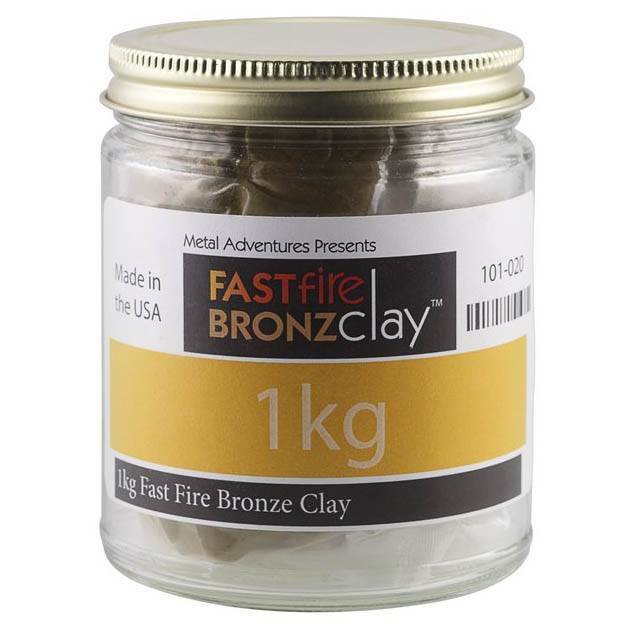 FASTfire BRONZclay is easily sculpted, molded, carved, formed, and becomes solid bronze when fired. Your imagination and just a few simple tools will allow you to create solid bronze pieces - from jewelry to sculpture and everything in between! Firing: AFAP (as fast as possible) to Ramp at full speed to 1525°F, and hold for 2 hours. PLEASE NOTE:BronzClay must be embedded in activated carbon in sealed vessel during firing. Carbon and container are sold separately. Download our free BRONZclay guide.